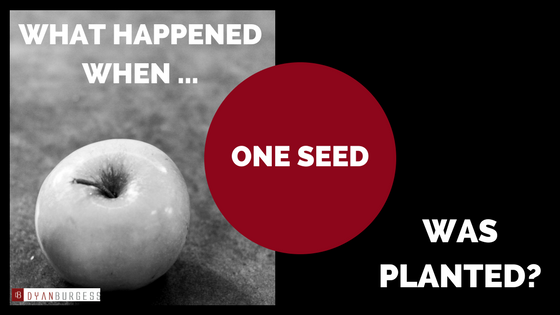 What Happened When One Seed Was Planted? 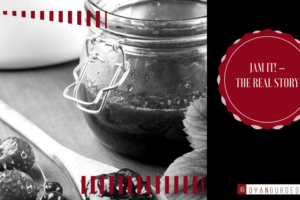 Home goal setting What Happened When One Seed Was Planted? It can flourish and bloom. Or it can never see the light of day. As an avid gardener, what would the process be if you wanted to see success with the growth of that plant? You would tend to it regularly. Potentially, in the very early stages, you would check your plant each day, at about the same time. You would ensure that the plant had the appropriate light and shade for optimum growth. That it was in the best soil and that it had sufficient nutrients and drainage. You would take the time to enjoy the process of caring for that plant. You may even talk to it from time to time to see if your plant responds to your thoughts (as it is an impartial listener to some of your more crazy ideas). As the seed breaks the soil and grows in strength, you will spend less time with it. The plant will deepen its roots and grow taller and wider each day. However, you cannot neglect your plant. Care still needs to be taken if the plant will reach its potential. You will need to remain focused on the result that you want to achieve. You will need to see the flourishing plant in your mind’s eye. Does this sound familiar? 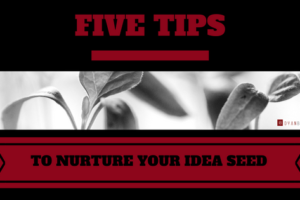 Do you follow a similar process when nurturing an idea? When writing content? When creating a book? What is one thing that you are doing at the moment that you could stop doing so that you could focus on nurturing your plant? That is create and write your book. Some options could be instead of updating your social media with your day’s activities, use that time to make some notes about the content you want to write. Considering that most television can be streamed, defer watching that series that everyone else is talking about and spend that time writing your book. Once your book is finished, you can always have a binge day. The question that may be the most important to consider is “Do you want to write a book?” Or are you just nattering because you like to hear the sound of your voice, or because so many other people seem to have written a book and you want to be on the bandwagon? If either of the last two is the reason why you are talking about writing a book, then you should stop right now. You will only give yourself heartache. You must want to do this about all else and make it a priority in what you do each day. Until you feel that burning in your stomach, you will only go in circles and people will grow weary of your empty promises. Once you find that desire to write your book, it will happen. You will find a way that works for you and your commitments and your business. When you work out what your process is, and make the time to adjust your schedule, then your routine will continue smoothly, and you will create, write and finish your book. If you are enjoying the change in your routine, you may find that you want to plant another seed considering that the current plant is flourishing. Who knows how many blooms and shoots will flourish from your new routine? Who knows how far your words will reach? These points, while interesting to consider, are not essential for your success. They could be considered secondary benefits from the creation of your book. What other benefits will your book bring to you? Maybe considering these will also assist you to understand why you want to write a book? 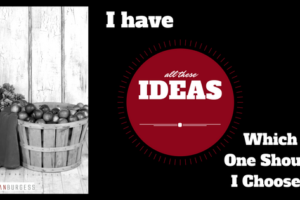 You may find the questions that I ask at the end of Chapter One assist you with finding what you need to understand to nuture your idea. Let me know what you think by emailing me dyan@dyanburgess.com I look forward to your comments. I Have All These Ideas, Which One Should I Choose?